A Starter Guide To Self Improvement. Staying calm, composed and maintaining strong self esteem in today’s tough environment can be difficult but is not impossible if you follow a few simple guidelines. Here are 6 tips you can use as a starter guide to self improvement. Everything and everyone else around you can affect your self esteem. Other people can deliberately or inadvertently damage your self image. Unchecked people and circumstances can ultimately destroy your self esteem and pull you down in ways you won’t even notice. Don’t let these influences get the best of you. But what should you avoid? Beware of a “dog eat dog” environment where everyone else is fighting just to get ahead. This is where non-appreciative people usually thrive and working extra is expected and not rewarded. In this environment no one will appreciate your contributions even if you miss lunch, dinner, and stay at work late into the night. Unless you are very fortunate most of the time you will work too hard with no help from others around you. This type of atmosphere will ruin your self esteem. This is not just healthy competition, at its worst it is brutal and very damaging. Bulldozers, brown nosers, gossip mongers, whiners, backstabbers, snipers, people walking wounded, controllers, naggers, complainers, exploders, patronizers, sluffers – whatever you want to call them, all have one thing in common – an overriding desire to prosper at the expense of others. Avoid them and do not be tempted to join them. They may get some short term advantage with their behavior but deep down most are very insecure, unhappy and ashamed of their behavior. For most their self esteem disappeared a long time ago. Seeing someone like this prosper is sickening but do not join them – you are better than that! In today’s fast moving society it is difficult if not impossible to avoid change. Changes challenge our paradigms and tests our flexibility, adaptability and alter the way we think. Changes can make your life difficult and may cause stress but, if it’s inevitable, you must accept it, don’t fight it and in time find ways to improve your life. Try to manage change and try to avoid multiple changes at the same time. If a particular change can’t be avoided welcome it. Change will be with us forever, we must learn to live with it. We all carry “baggage” – past experiences which have molded us to who we are today, but some people live in their past experiences – usually something that hurt and still hurts. It’s okay to cry out when you experience pain but don’t let pain dominate your life as it will transform itself into fears and phobias. If something painful happens, or has happened to you, find a way to minimize the effects. Discuss it with a friend, a family member or a professional if necessary and move on. Don’t let it continue to dominate your life and dictate your future actions. Because something bad has happened doesn’t mean it will happen again. Learn what you can from any bad experience and move on. The television news is full of doom and gloom and it is true that around the world there are many people suffering war, famine or other natural or man-made disasters. Whilst I do not suggest you should not care and do nothing, remember that there are many beautiful positive things happening too. Don’t wrap yourself up with all the negative aspects around the world. Learn to look for beauty too for, in building self esteem, we must learn how to be positive in a negative world. Are we a product of our biological inherited characteristics (nature) or a result of the influences we absorb throughout out lives (nurture)? I believe how we are is due to a mixture of both nurture and nature and as a result our behavioral traits are not fixed. Whilst it is true that some things are dictated by genetics (for example race, color and many inherited conditions) your environment and the people in your life have a major effect on your behavior. You are your own person, you have your own identity and make your own choices. The characteristics your mother or father display are not your destiny. Learn from other people’s experience, so you don’t suffer the same mistakes. Are some people are born leaders or positive thinkers? I don’t believe so. Being positive, and staying positive is a choice. Building self esteem and drawing on positive experiences for self improvement is a choice, not a rule or a talent. No-one will come to you and give you permission to build your self esteem and improve your self. It is in your control. It can be hard to keep positive, especially when others and circumstances seem to be conspiring to pull you down. You need to protect yourself and give yourself a chance to stay positive. Improving your self esteem gives you that protection. One way to stay positive is to minimize your exposure to harmful influences while using affirmations to boost the positive influences in your life. Constantly reminding yourself of the good things in your life will keep the impact of negative influences to a minimum. The first thing you need to do is sit down and set your goals. Diana Scharf Hunt said “Goals are dreams with deadlines.” A lot of times, people are thrown off by the idea of taking the time to set their goals. But when you take a trip, do you not come up with a plan and ultimate destination. Well, setting goals is the same process. I suggest that you first do a Must Have, Why, How analysis. First, write down a list of must haves; bigger home, luxury trips, new cars, work from home, etc. Then decide why these must haves are important to you and prioritize them. Lastly, write down how you are going to get the must haves. What are the tools and resources do I need? Once finished writing your goals, next you need to start visualizing your dreams. Henry David Thoreau once said “If one advances confidently in the direction of his dreams, and endeavors to live the life which he has imagined, he will meet with a success unexpected in common hours.” You need image yourself accomplishing your goals and obtaining your treasures. Will yourself into succeeding. Never think that you cannot reach your desired results. Talk about the desires as if you have already obtained it. A good practice is to read your goals daily. If you are having a bad day, read them over and over. Thirdly, you need to get the tools and resources to needed to accomplish your goals. Maybe you have decided to start a home-based business as a mechanism to consummate the acquiring of your dreams. Start gathering documentation on how to run your home-based business. Join service group that might help you. Take the step to start reaching your goals. Kathy Seligman said “You cannot hit a home run unless you step up to the plate. You cannot catch a fish unless you put your line in the water. You cannot reach your goals if you do not try.” Get started today!! In conclusion, the first thing you need to do is start planning and setting your goals. Then you need start visualizing yourself completing your dreams. Also, you will need to get some tools and resources that will help you achieve you goals. And surround yourself with people who are positive and have the same goals as you do. And most importantly, prepare yourself for success. When the time comes, do not be afraid to be successful. Think about this, in the Bible Jesus said, “As a man thinketh in his heart, so is he.” You need to start seeing yourself as attaining your goals. Act and talk as if you already have obtained them. Now get started! Graduate Trainee Jobs At PayConnect Nigeria. patterns, then avails loan amount with tenure that uniquely suits each individual. The application process is easy and seamless. Loans on PayConnect do not require Collateral. We seek to employ Graduate Trainees to carry out day to day task. Candidates should possess a graduate qualification. Application Deadline 15th March, 2017.
of financial services with over 11 million customers, through close to 1000 business offices and touch points globally. Ensure proper documentation for all new and existing accounts. Debit cards), enroll new customers, and resolve related issues. Increase product sales, and customer loyalty by maintaining good client relationship. Branch General Ledger (GL) proofing. Cheque book issuance and maintenance. Ensure timely opening of new accounts on the system. Support branch sales and service team. Process customer's account opening, transfer, and closure request. Minimum Educational level - Diploma (OND/HND) in any Social science or Art related discipline. Using a cover letter template when job hunting is a logical and time saving measure. Your time is limited, so writing one basic one and using it as your template will simplify the application process, making you more efficient and hopefully employed all that much faster. A basic template can be either bulleted – sometimes called an Executive Summary – or in paragraph form. The paragraph form of cover letter template is more traditional and preferred by many for the neat appearance it presents. Since hiring managers are busy however, the bulleted format does have advantages. This cover letter template allows you to make quick changes in the emphasis you are placing on your skills in case there is more than one type of job for which you are applying. A good bulleted template will begin with the date, address and salutation. Then it should reference the position applied for. Open the template itself with a short paragraph highlighting your primary qualification, such as years of experience, and state that you can make a strong contribution to the company. Then back up what you’ve said with at least two bullet point paragraphs, each listing some of the key qualifications that your resume lists. You’ve heard the old saying “tell them what you are going to tell them, tell them, and then tell them what you told them.” This is the place for that. Your last paragraph should be upbeat and point out that you can make valuable contributions to the organization, list your contact phone number again, and thank the reader for his or her time. A good template emphasizes the contributions the applicant can make to the prospective employer. Employers don’t really care about what you want, they care about what you can do for them, and your cover letter template and resume should reflect that truth. An alternative to the bulleted template is the standard paragraph formatted cover letter template. It begins as the bulleted one does, with the date, salutation and standard formal correspondence protocols. It will then have three or four paragraphs in block format that point out your years of experience, education and other qualifications in the first paragraph, followed by the second paragraph where you state your desire to join the organization. The third paragraph should go into more detail concerning experience and qualifications. For instance, stating that your skills are in personnel supervision, or in operations management. List a recent accomplishment in this paragraph to back up your earlier words. In the last paragraph point out the obvious – it never hurts. Let the reader know that your resume is enclosed and you would like to meet with him soon to exchange ideas. State that you will call him in the next few days if you feel it appropriate, otherwise restate your contact phone number and email address and your availability to meet. End it with your signature and the word “enclosure”. This cover letter template also emphasizes what the applicant can do for the company by citing experience. If you follow either of these listed here you should have good success. Driving a process of continuous improvement in business partnering which enhances the understanding of the Executive and Senior Management teams of their key financial performance drivers and business performance issues. Challenge Business Cases relating to sales activities to ensure accuracy and adequate return on investment. Monitor such business cases to demonstrate adequate return on investment. Support sales function to set and deliver sales targets, collection targets and operating expense targets. Ensure that all business risks are incorporated into the over Finance Risk Matrix and develop mitigation plans for any identified gaps. Support the Sales teams in understanding financial information and assisting with decision making. Provide detailed analysis Sales performance monthly and as required. Provide detailed analysis on G2N investment and work closely with the sales function to challenge and improve investment applied. Review, monitor and highlight variances. Investigating exceptions and facilitating corrective action. Liaise with GMS team to understand COGS and identify opportunities to improve margins. Monitor COGS to ensure all variance to standards are escalated and understood. Ensure the revenue recognition policy is adhered to. Deliver sales elements of the annual planning exercise. Participate and challenge assumptions used to develop sales forecast as part of the CMF process. Work closely with the Financial Controller and Finance Director to review Debt and cash collection performance. Identify areas to improve working capital management and guide the sales team in development and implementation of initiatives. The 313 million-plus member site is for professional networking, specifically with past and present colleagues, hiring managers, potential clients and investors, and other hopefully business-related contacts. That said, your headshot should be professional. In other words, safe. Appealing to a wide audience. .
Chill with the funky filters already. Actually, don’t use them at all, not on LinkedIn. Potential employers and clients want to size you up straight up, just as you are, not all uber-emo. In Instagram speak: The "Earlybird" that skips the "Sutro" is more likely to get the worm, dig? 3. The 'I'm so serious I hate life' pic. I’m not going to name names (I’m not that mean), but a LinkedIn user I maybe, kind of, sort of might be connected with is half-squatting, half-lunging in her profile pic. In a baggy T-shirt and Spandex leggings. On a cracked cement driveway. Yep, like a cat-like Crossfit ninja warrior about to pounce... just after this quick yoga pose, k? Granted she’s a black belt and a personal trainer (who, er, could easily choke me out tonight in karate class and just might if she reads this), but squatting? On LinkedIn? Really? Just no. 6. The 'Say hello to my kitty' pic. Here’s an easy rule to remember: Unless you’re a vet, please don’t pose with your pet. As much as you adore Count Fluffy McFlufferton, I’m sorry, he’s not LinkedIn profile material. You are. Just you. Save your furball’s whisker-licious glamour shots for Tag a Cat, the new Tinder for cats. 7. The 'Oops, I cropped my shot' pic. Technically, you’re more than just a face. You’re a person. A whole person with brains in your head, feet in your shoes and you can post any LinkedIn profile pic you choose. That is, we hope, except for one that oddly crops off the top of your head or the bottom of your chin. Or your ears. You get the full picture. Show your face, your whole face and nothing but your face. Or so help you job, the one you could have gotten (or kept) because you looked the part on LinkedIn. 8. The default LinkedIn silhouette pic. A good way to promote your business is through radio jingles and TV adverts; this is because millions of audience can be reached through this medium of advert. The major setback with radio and TV adverts is that the cost of placing an advert on radio or TV is on the high side, and a lot of business owners and entrepreneurs especially new starters cannot afford the high cost of placing these adverts. The question now is whether there is a means entrepreneurs can leverage on to advertise their businesses without paying the high costs associated with radio and TV adverts? 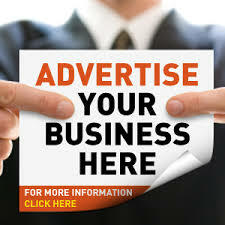 This article will focus on how to take advantage of radio and TV shows and programs to advertise your business for free. The first step is to select a program or different set of programs; either a radio or TV Talk Show or both. There are tons of programs hosted by private individuals that are aired on TV and radio stations; these are the types of programs I am talking about. Remember that any program you decide on has to be related to your business; for instance, you cannot advertise or talk about a weight loss product in a sport analysis show. The proper program to choose is a health or fitness show. As long as the radio or TV Program is a popular program, you are sure to reach out to millions of audience. 2. Prepare Valuable Info on your Niche: after you have chosen a program(s) where you will like to feature and advertise your product, it is time to prepare valuable information on the niche area you want to share with the general public. Still on the weight loss example; since your product is on weight and the show is a fitness show, you can prepare information like how to drop 5 pounds in 4 weeks; you need to carry out extensive research on the topic to ensure that you are sharing a very valuable topic with the public. 3. Contact the Host-: The next step is to contact the host or the organization handling the show; the best way to make the first contact is via email. If it is the host that you are contacting, you can request to feature in the next epistle of the program or to have an On air (for radio program) or live (For TV program) interview on the topic you have researched on. If the host finds your information interesting, you may be invited for a one on one business discuss. You have to schedule your meeting; and during the meeting, try to be as explicit as you can on the topic your researched, and the impact it will make if you share such info with the general public. It is a two way thing, you provide valuable info on the show that will keep the audience hooked to the show, while in turn, you are allowed to talk about your product or service in the show. If you can reach this agreement with the host, then you have a deal, if not, you may have to scout for another host to discuss your plan with. Dressing-: If the Show is a TV show that will likely be viewed by millions of audience, you have to look your best, formal dressing is the best bet for it. You still need to look your best even if it is a radio program. Facial Expressions-: You have to put on a friendly facial expression during the show; for a radio program, you have to train your voice to sound homely. Charisma or Confidence-: Even if this is your first time of making an appearance in a TV show, you have to do so with confidence and charisma. You can actually do a rehearsal with the host before the show to make you feel more confident. 5. Add Value to Your Audience-: The real purpose for getting featured in the TV show is for you to advertise your business; but first and foremost, you have to gain the trust of your audience by adding value to their lives at first. Be very explicit when explaining the information or tips you have to share; there may be a question and answer time where the audience can call in to ask for more details on the information you just shared; that is why you need to put more effort into your research. 6. Advertise in Subtle Way-: When it’s time for you to talk about your business, you have to do so in a subtle way; don’t just come forward to tell your audience you have this product or services for sale, you can make it like it’s part of the discussion. For TV shows, you can shoot a 2 to 3 minutes video advert clip that will be shown at intervals during the program; or you may be given a few minutes towards the end of the show to fully introduce your business.